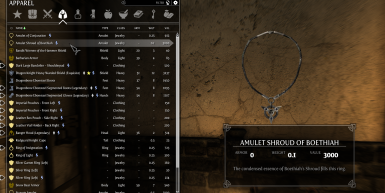 This very simple mod allows you to combine a couple ingots (ebony and advanced blacksmithing required) to harness and condense the essence of the Shroud of Boethiah into an amulet. Craft it at an anvil. Want the original Shroud back? The smelter can help.